Zodiac Sign - Impact resistant Phone Case Design. 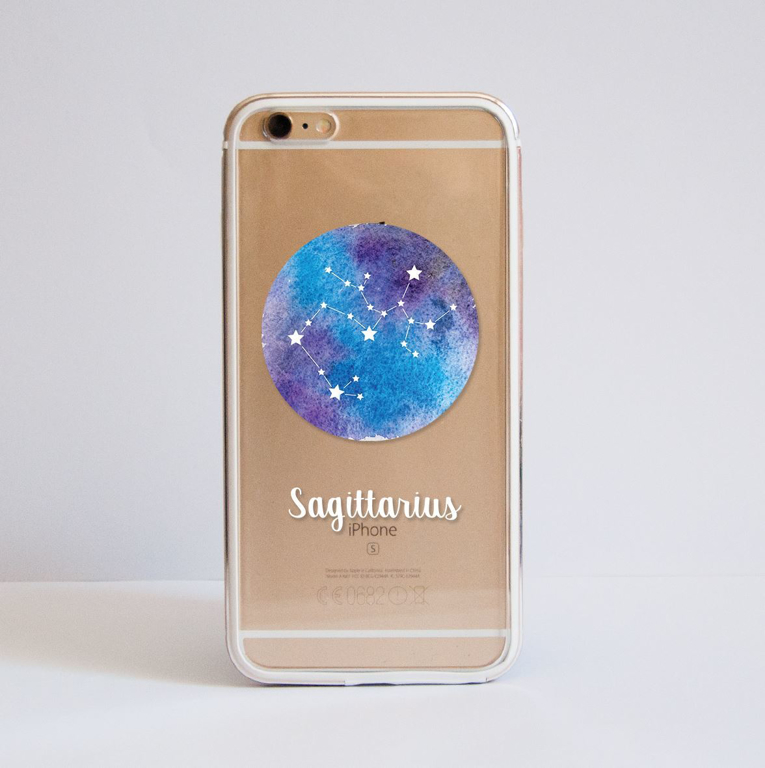 This Phone Case design is based on the astrological constellations. A mixed technique is used to create this artwork, combining hand illustrated watercolour background with graphic stars. We use our phones all the time, so why don't you have them protected in a personal and unique way? This case is made from two parts: aluminium frame available in 4 colour options- Rose Gold, Gold, Silver and Black and a clear hard plastic plate. Each case may have slight variations in print as all cases are different sizes and shapes. 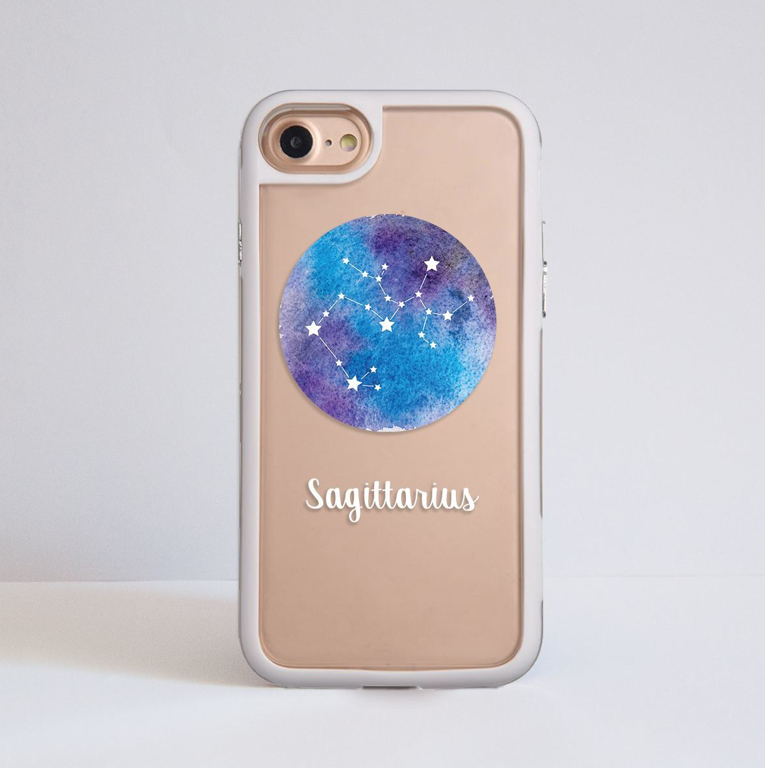 This Phone Case design is featuring the astrological constellations. You can choose your Zodiac sign from the list of options and make your device even more personal. The artwork is created by using mixed technique of blending watercolours as a background and graphic white stars. The pictured above is an example of an iPhone 7 Plus Case. This style of cases is for those of you who tend to drop their devices a bit too often. Made out of tough plastic, it has two parts- TPU bubble wrap frame, which comes in different colours and a frosted back plate, which is printed with the chosen design. Please note that each case might be more or less zoomed in as different models have different sizes and shapes. Also please be aware that different phone models require holes in their cases for sockets and the camera lens, which can obscure parts of the design. This Case design is featuring the astrological zodiac signs. It is created by using mixed technique of combining watercolours with graphic white constealltions. The clear case will allow your phone to be visible underneath the artwork, creating a natural background.